In the market for a 125 two-stroke? Or should you get a 144 or 150? We grab two TMs to help answer that question. We all know that 125 two-strokes are simultaneously a blast to ride and a challenge to ride fast. But that is why they are still around, and, one could argue, making a comeback. Going from an 85-112cc bike to a 250 four-stroke is a huge change in both power and technique. But instead of just grabbing a modern 125 to see how it does on its own, we felt it would be more valuable for riders in the market for a small-bore, two-stroke machine to see how a 125 and a 144 compare. The bikes in question are the TM MX 125 and TM MX 144. 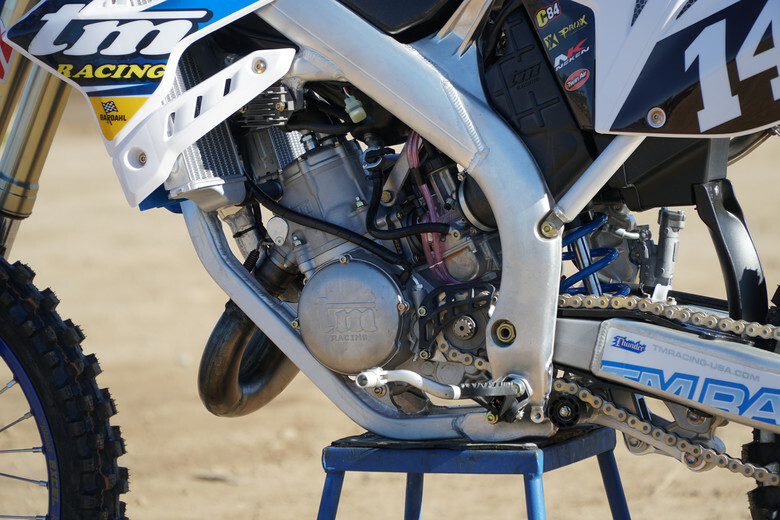 We know that TM Racing is a pretty boutique dirt bike brand but this comparison isn’t so much about how the TMs stack up against other bikes in the category, but how a 125 and 144 with identical chassis and suspension compare to each other. That way, hopefully this information can relate to the brand of your choosing, such as a YZ125 compared to a YZ144 (big bore kit) or a KTM 125 SX compared to a KTM 150 SX. Contrary to what we just said, and just for some perspective, we will talk a little about how the TM 125 compares to other 125s we’ve ridden in the past. It has been some time, but we have ridden a YZ125 and KTM 125 SX within the last couple years. The TM feels like it is faster than both… but harder to ride than both, too. 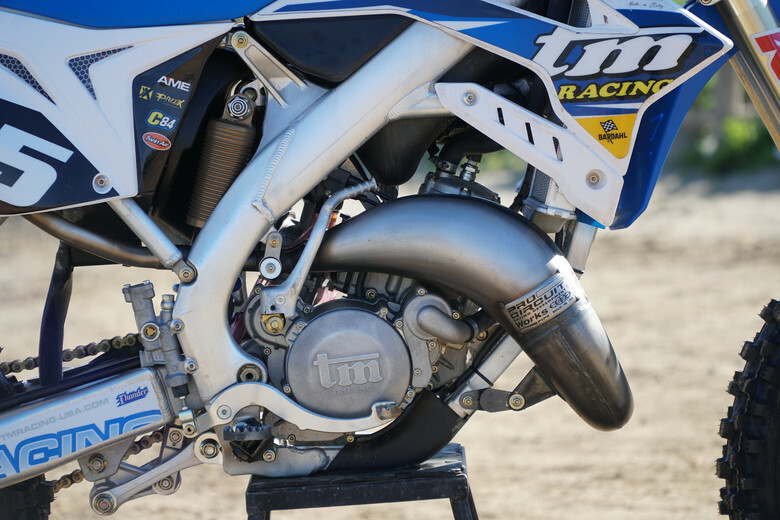 The TM importer, Ralf Schmidt, informed us that since the TM MX 125 is raced in Europe, it has continued to be developed each and every year, and it makes absolutely zero concessions to be user-friendly or easy to ride. That means it is an absolute ripper, for a very small fraction of the rev-range. You wack open the throttle from a dead stop and nothing happens for a few seconds while the small engine winds up and then BAM! All of a sudden the bike surges forward and nearly wants to loop out. But let the RPM drop a tiny bit out of the sweet spot and it falls on its face, hard. To ride this 125, more so than other 125s, you have to be squarely on the pipe and be hyper vigilant with the clutch and with the shifter. There is no way to recover if you are caught in the wrong gear - too high or too low. Obviously, if you are a gear too high, it just doesn’t have any torque to get you out of trouble. But, on the flip side, if you are a gear too low, you’ll wind out and be bouncing off the rev limiter not making any more power. The window of power is narrow but potent. In the right hands with a lot of little-bike riding experience, this 125 would give 250Fs a run for their money. When you are on the pipe, hold on, this thing rips! Again, talking to Ralf, he says that according to TM‘s dyno, the 125 makes about 37 hp and the 144 makes about 40 hp, which isn’t a huge difference. And riding the 144 right after the 125, it doesn’t really feel any faster in the meat of the power or on top at all. But what is readily apparent is that the power comes on sooner and is much easier to use. 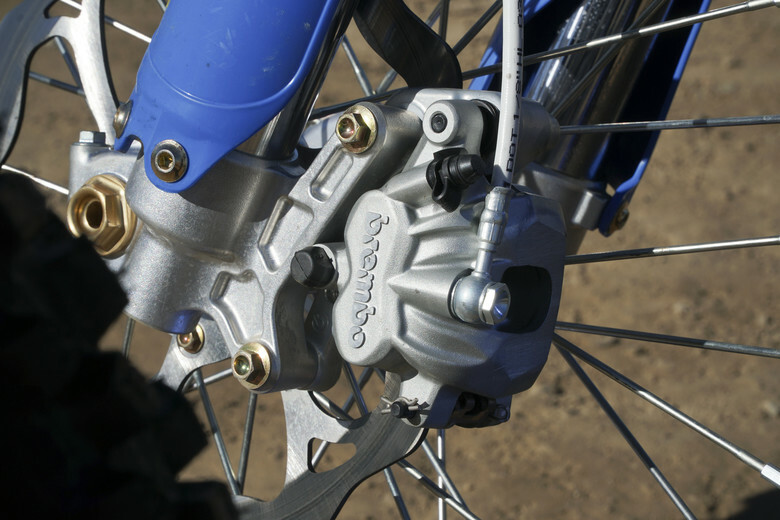 With the 125, the you are desperately searching for the tiny sweet spot of power, or if you are a good 125 rider, you’re pinned and in a manic state constantly clicking through gears and flicking the clutch lever. Riding the 144 is a much more calm affair. The smoker still doesn’t ride like a 250F and you still cannot be lazy, but the power is easier to find, it has a wider usable RPM range, and overall, it is more predictable and fun to ride. Plus, the 144 doesn’t really give up any rev’s on top or any throttle response, like some big bore kits do. But this is where the TMs might differ from other bike manufacturers. 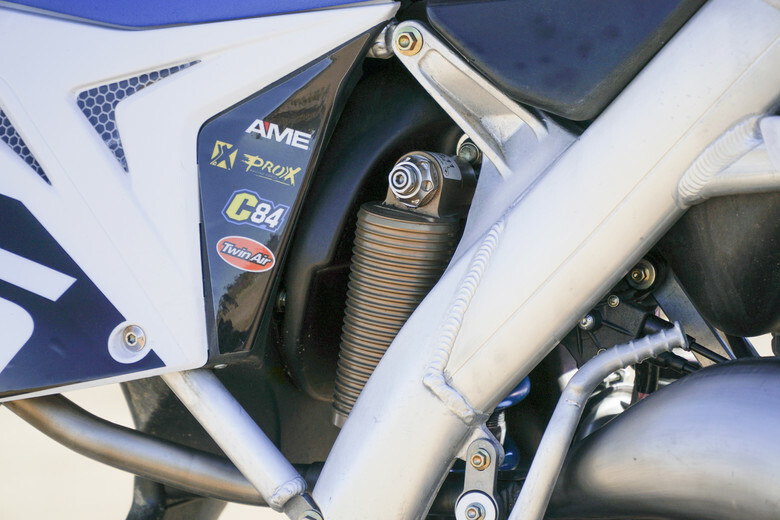 The 144 has its own engine and is not just a bigger cylinder on the same 125 bottom-end. The 144 and 125 engines can be swapped since the chassis and suspension is the same, but they don’t share many engine parts. Deciding which bike is better depends on what kind of rider you are. The simple answer is that the 144 is easier and more fun to ride without really any downsides. But the more complicated and complete answer is that, if you are a young rider looking to be the best motocross rider that you can possibly be, riding a 125 is a great way to sharpen your skills. Mastering the skill, nay art, of riding a 125 to its full potential takes full mind/body/bike integration that leaves no room for poor line choices, mistakes, or laziness of any kind. But if you are anything other than a young ripper looking to set the world on fire, a 144 or 150 can give you all the joys of small-bore, two-stroke motocross riding with just a little extra grunt to keep the fun factor as high as the bike’s RMP. Really cool to see the boutique brands and Boniface too ! Great ! Thanks for the test Klinger, 2 Stroke AND a TM, nice!